There were four of us, mature males who all remember having a crush on Annette Funicello, were seated around a table avidly discussing deviant behavior with a sometimes rapt mixed-gender audience. The four of us, loudly discussing deviant, and only occasionally aberrant behavior, were doctors: David Allan the world renowned creator of Allan Deviation or variance fame, Judah Levine, world renowned nuclear physicist and Father Time of NIST (National Institute of Standards and Technology), Neil Ashby, former chair and currently Professor Emeritus of Physics at UC Boulder, also from NIST, along with yours truly representing GPS World magazine and the Institute for Defense Analyses. Our ever-changing audience was composed of the 40+ members from around the globe attending the 40th Annual NIST Time and Frequency (T&F) Metrology Seminar, held June 2-5 in stunningly beautiful Boulder, Colo.
Of course, the numerous deviant behaviors under discussion had more to do with the sometimes-fickle performance of various atomic reference systems than they did anatomy. And we were speaking loudly because that is what most men of our age do. Dr. David Allan frequently threw in quotes and anecdotes from his recently published book on time, It’s About Time, about which you will read more later. The NIST T&F Metrology Seminar is truly one of a kind, easily the best in the world for time and frequency metrology. I have been fortunate enough to attend numerous times. I can truly say I have never found it repetitive or boring. There are so many exciting discoveries concerning time, which David Allan staunchly maintains is a purely human construct, and how time applies to our everyday lives, especially to GPS — all PNT systems actually — that it is impossible not to be constantly fascinated. NIST Boulder is all about research and development for timing standards, which is a benign way of saying NIST SMEs (subject matter experts) are the world’s foremost authorities on time and metrology. To wit, NIST has produced no less than four Nobel Prize winners in metrology, the last being awarded in 2012. The atmosphere at NIST and the University of Colorado Boulder campus is such that you can’t help but feel certain there are more Nobel Prizes for NIST on the horizon. David Howe (Ph.D.), my NIST host and group leader of the Time and Frequency Metrology Division, explained that his organization, which sponsors the seminar, is an operating unit of the Physical Measurement Laboratory of the National Institute of Standards and Technology (NIST), an agency of the U.S. Department of Commerce. The NIST T&F Division is located in Boulder at the NIST Boulder Laboratories, just across from the street from the University of Colorado. Many of the NIST researchers are also University of Colorado professors, adjuncts or graduate students. Precise time and frequency information is required by electric power companies, radio and television stations, telephone companies, air traffic control systems, participants in space exploration, computer networks, scientists monitoring data of all kinds, and navigators of many types. These users need to compare their own timing equipment to a reliable, internationally recognized standard. NIST provides this standard for the United States. Of course one of the largest distribution networks for timing data is through the Global Positioning System (GPS), which provides this data globally to more than 4+ billion users and millions of timing systems everyday, numerous times per day. The number of times GPS time is utilized per day is almost impossible to calculate, but most certainly resides in the trillions. The NIST Time and Frequency distribution system delivers NIST Internet time over the Internet at the rate of 8 billion requests per day from servers at 25 locations across the United States. The frequency stability provided by classic Cesium and Rubidium atomic reference systems onboard GPS payloads have historically been on the order of 1 x 10-14. While this is the stability provided by the GPS IIF rubidium clocks, currently the rubidium clocks being prepared for GPS III are achieving frequency stability on the order of 1 x 10-15 under laboratory conditions, an order of magnitude better than the current on-orbit clocks. This is actually an amazing feat. For those of you who don’t deal in scientific notation on a daily basis, this means — since it is on a logarithmic scale — that the frequency stability of GPS III’s atomic clocks have the potential to be 10 times as stable as the IIF clocks, which are currently the most stable and accurate GPS clocks on orbit to date. Where atomic reference systems are concerned, we routinely speak of frequency stability and not clock accuracy. It is the stability over measured epochs, short and long, that matters most. Indeed, it is the oft-misunderstood frequency stability uncertainty expressed as delta f/f = 1 x 10-16 that produces the clock accuracy to within one standard (SI) second in three hundred (yes, 300) million years — a statistic that is obviously not directly observable, but reasonably predictable. Hence, as Judah Levine often says, where stability is concerned you are an historian, but where accuracy is concerned you are a prophet. NIST defines an SI second as the duration of 9,192,631,770 cycles of the cesium hyperfine transition. Tom O’Brian, the current chief of the NIST Time and Frequency Division, explained that this level of precision is equivalent to measuring the distance from the Earth to the Sun, a distance of 150 million kilometers, to the uncertainty of 15 microns or 1/10 the thickness of a human hair. While that is impressive, the best is yet to come. NIST is currently working on research-grade optical clocks, which we could reasonably expect to see on orbit one day in future GPS payloads, with an optical frequency stability equivalent to delta f/f = 2 x 10-18 or accuracy equal to 1 second in 15 billion years. Again this is the equivalent of measuring the distance from the Earth to the Sun to an uncertainty of 0.3 micron or the size of a virus. We stand at the advent of a revolutionary new economy fueled by the global Internet of Everything (IOE). The IOE is a combination of traditional telecom systems with a growing need for wireless technology, and the emerging Internet of Things (IOT) including Machine-to-Machine (M2M) technology. Several current technology providers predict there will be a trillion global endpoints connected to the Internet by 2022, with $14.4 trillion in value at stake. One fundamental enabler of this revolution is a marriage of timing signals and data that breaks through existing barriers. Currently, optimal use of data in computing and networking is anathema to optimal use of timing signals. Computer hardware, software and networking all isolate timing processes, allowing the data to be processed with maximum efficiency due in part to asynchrony. Yet, the coordination of processes, the time stamping of events, latency measurements and optimal use of precious spectrum are all enabled by ever more accurate and stable timing. Timing is critical for the future development of and improvements to several high-value applications. For example, in smart transportation systems the exchange of information between vehicles, highways, and civil authorities depends on a robust ubiquitous timing system to ensure the rapid, accurate synchronization and provenance of data. Similar requirements are found in the operation of power grids, especially now that wind farms, solar arrays and the like require different control strategies, which are a critical part of the system. Modern medical applications such as tele-surgery and real time integrative online medical conferences, as well as applications in financial systems are all important examples that require accurate and stable timing signals and may well affect us all. There are three different types of timing signals for dependable synchronization: frequency, phase, and time. Frequency can be supplied by an individual clock, such as a commercial (atomic) Cesium or Rubidium standard, though practicality drives the use of local oscillators that require calibration and active reference signals. [Ed. Many of these local reference systems and oscillators are routinely updated by GPS signals.] By contrast, phase and time synchronization always require the transport of timing signals plus data. Timing signals are physical, they occur on the physical layer of networks. Indeed the IoT has many devices and applications that require frequency, time and/or phase synchronization. Frequency, time and phase all need to cross layers, boundaries, and networks from their sources in accurate clocks. Requirements for these transfer systems include parameters that create different, perhaps orthogonal, demands on systems. Accuracy, stability, integrity and even non-repudiability requirements are realized with varying demands on different systems…. To facilitate the massive growth of the IoE, data processing and networking require new designs at fundamental levels, allowing integration with precise and verifiable time, frequency and phase signals. Timing performance is fundamentally dependent upon an underlying oscillator, or ensemble of oscillators and the clocks constructed based on these oscillators. However, it is apparent to us that many of the researchers and developers of the various time aware systems operate independently of each other. They attend different conferences, read different literature, and in general do not interact sufficiently to achieve the breakthroughs needed. In our minds this calls for a dedicated and collaborative “across the stack” research collaboration focused on two or three comprehensive challenge problems. Fortunately, this is what researchers, scientists, analysts and metrology experts do at NIST and what we learned about during the T&F Metrology Seminar. The bottom line is many perturbations affect timing signals from atomic reference systems and even local quartz oscillators (clocks). 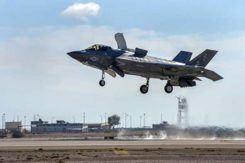 The more these perturbations are understood, the easier they are mitigated and the more stable and accurate our timing signals will be and the faster technology — PNT (position, navigation and timing), clock and otherwise — advances. For many traditional timing applications and developing “post-timing” applications, stability is more important than accuracy; just as for most advanced technology applications, frequency is more important than time of day. NIST clearly states its Time and Frequency Metrology Group has the world’s most advanced measurement and calibration facilities for characterizing noise components in oscillators and frequency synthesizers. NIST engages in numerous research and development activities to determine the cause of various types of noise for the purpose of isolating and reducing it, leading to improved components, instruments, techniques and results that are often critical in modern applications. In other words, you have to thoroughly understand a clock issue before you can begin to mitigate issues affecting it. NIST, a synecdoche for understanding time, does that better than any other metrology laboratory in the world today when it comes to atomic reference systems. What Is Time and Why Does It Matter? 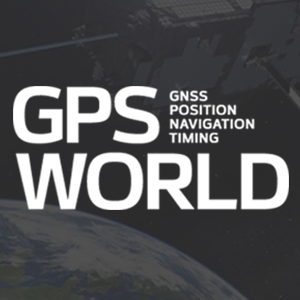 Accurate timing and synchronization are a crucial part of the world’s critical national infrastructure and of modern technology in general, especially the timing signals from GPS satellites, which are used by billions of users continuously every day — although most users remain unaware of the importance and impact that accurate and stable timing has on their everyday lives. “What then is time? If no one asks me, I know. Therefore, I agree with David Allan when he posits that time is a human invention with which only humans struggle. Be that as it may, it is still a condition we live under, and when you consider all the forces, minute to infinite, that affect atomic reference systems and clocks in general, it is amazing our clocks function as well as they do. The United States Air Force then takes these delicate clocks, atomic (Rubidium and Cesium) as well as quartz VCXOs and OXOs, and launches them (with violent maneuvers) into space in a Medium Earth Orbit that regularly intersects the Van Allen radiation belt. Once on orbit, the clocks routinely experience every one of the listed forces and more on both a regular and changing basis. Of course, we expect the GPS clocks to operate at the same standards and with the same stability and accuracy they displayed in the laboratory. Not asking much are we? The amazing fact is that thanks to the dedicated scientists and physicists at NIST and other timing laboratories, the clocks work as advertised and continue to do so sometimes for more than 20 years. The current GPS III Rubidium clocks being tested and aged at NRL (Naval Research Laboratory) and other locations around the U.S .are posited to be the first 30-year Rubidium standards with nominal frequency stability of 1 x 10-15. This should provide GPS with another nanosecond of timing accuracy and another 12 inches of positioning accuracy. There will be three of these extremely stable Rubidium clocks on board each GPS III satellite — no Cesium clocks for this family of satellites. Horologists around the world are hoping it is truly a 30-year tube and that only one Rubidium will be required. Only time will tell. Little Known Factoid (LKF): The first family of GPS satellites on orbit made use of a General and Special Relativity switch that could be set in one of three positions: neutral, plus or minus, depending on whether the universe was relatively static, expanding or shrinking in size. Guess where the switch was set initially and (hint, hint) it could be changed via software from the ground. Drop me a line @ djewell@gpsworld.com and let me know what you think — posit or know, as the case may be. My thanks to David Howe, Judah Levine, Neil Ashby, David Allan (Ph.D.s all) and Danielle Lirette, who made my visit to NIST such a wonderful experience. Earlier I mentioned physicist David Allan’s wonderful book, published in 2014. It’s About Time: Science Harmonized with Religion. Allan is about science harmonized with religion and where we are in God’s time. I am halfway through the 402-page tour de force on time, and it is a fascinating read. It is a 50-year biography and history of atomic reference systems, since the first atomic clock only came about in 1949. You’ll be amazed how that happened. Based on what I have read so far, I highly recommend this scientific tome, which is very readable and understandable even for the lay reader. I promise a full review in a future column. Until then, Happy Navigating! I hope to see many of you at ION JNC (Institute of Navigation Joint Navigation Conference) in Orlando, Fla., June 21-26. There will be a classified day on Thursday, June 25, and a Warfighters Panel as well. Hope you can join us. Remember, GPS is brought to you courtesy of the United States Air Force. 3 Comments on "The Internet of Everything: It’s All in the Timing"
Thanks for yet another fascinating article! Ever since stumbling across local copies of the proceedings of the Precise Time and Time Interval gatherings in the USAF Space and Missile Systems offices in the 1970’s as a new Lieutenant, I’ve been intrigued at the tremendous work and progress in this field. Being deeply involved in aerospace now (the UAV field), it touches my work daily. Your clear and cogent observations are delightful and most appreciated. Do keep up the fine work! It was a wonderful week of meeting legends and having the gray matter all stirred-up again. Happy you enjoyed the article. Now you have me thinking about UAVs – interesting.